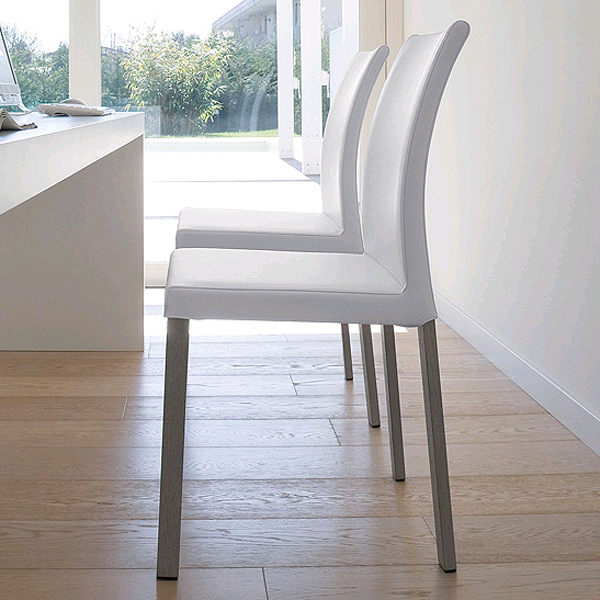 A beautiful modern dining chair with a sturdy steel frame. 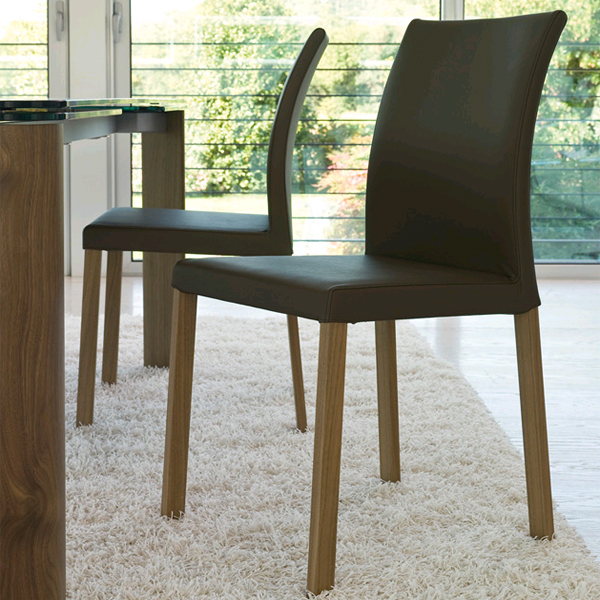 Legs in anodized aluminium, shining aluminium, natural or gray oak, or canaletto walnut. Seat and back covered in leather, see sample links below for the full range of colors.